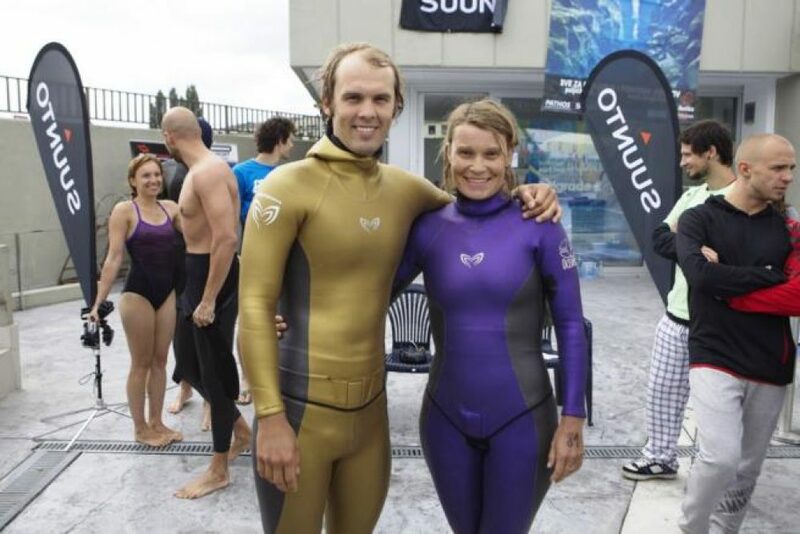 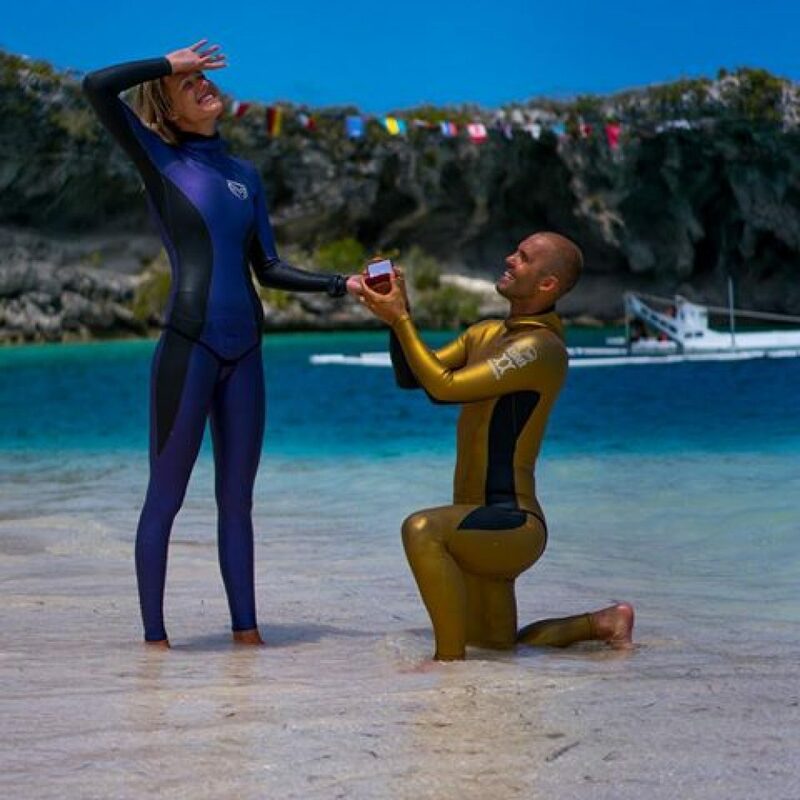 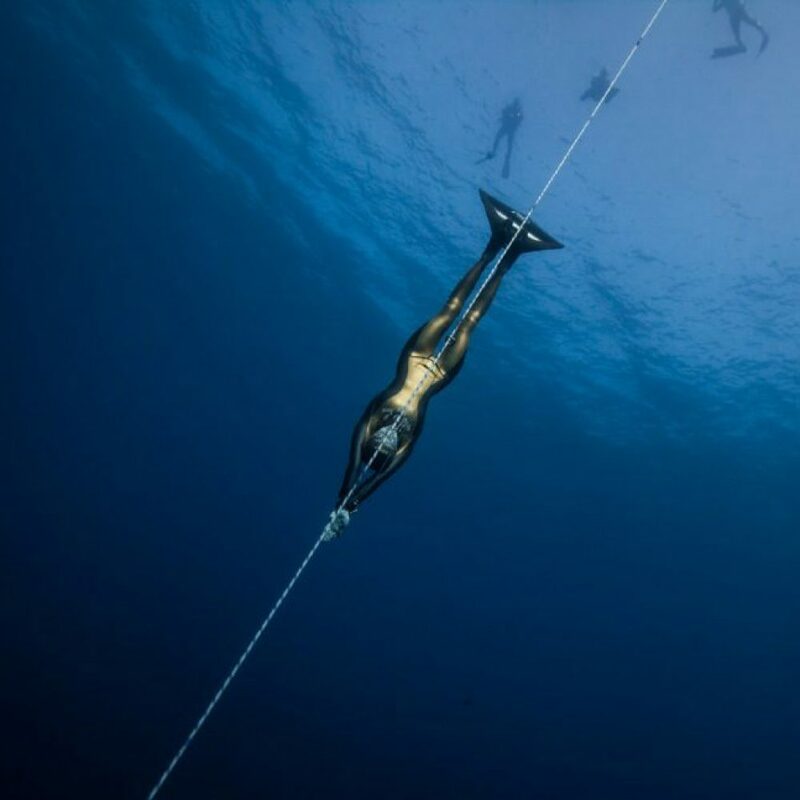 The Molchanov COMP Freediving Wetsuit by Oceaner, a stunning suit design by Alexey and Natalia Molchanov, is top of the line when it comes to freediving competition wetsuits. 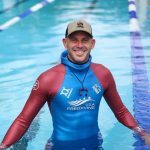 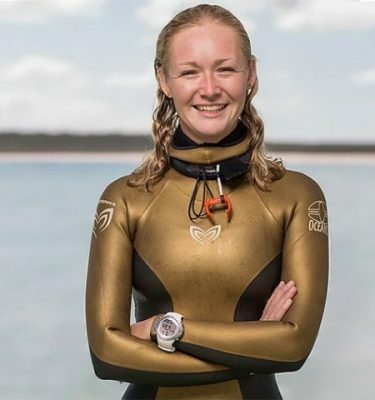 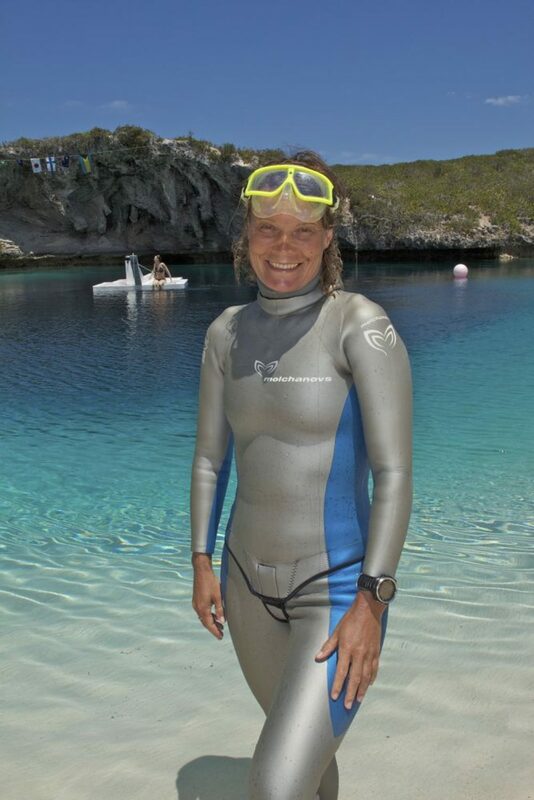 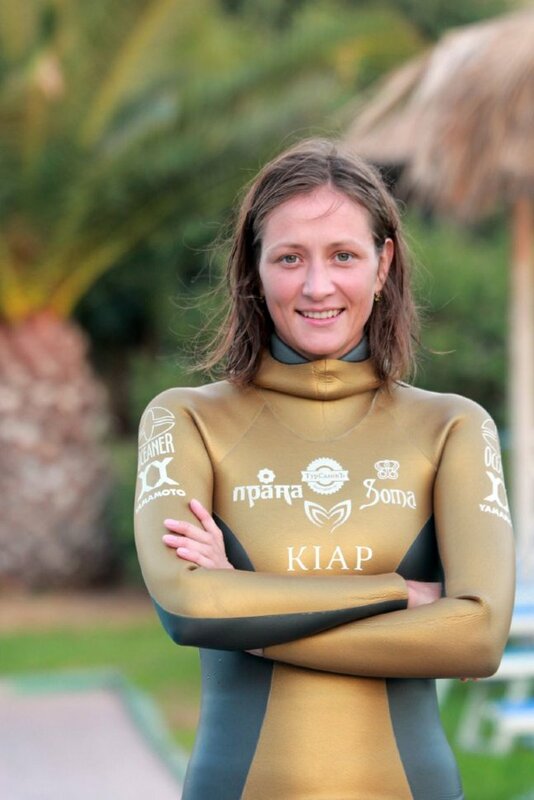 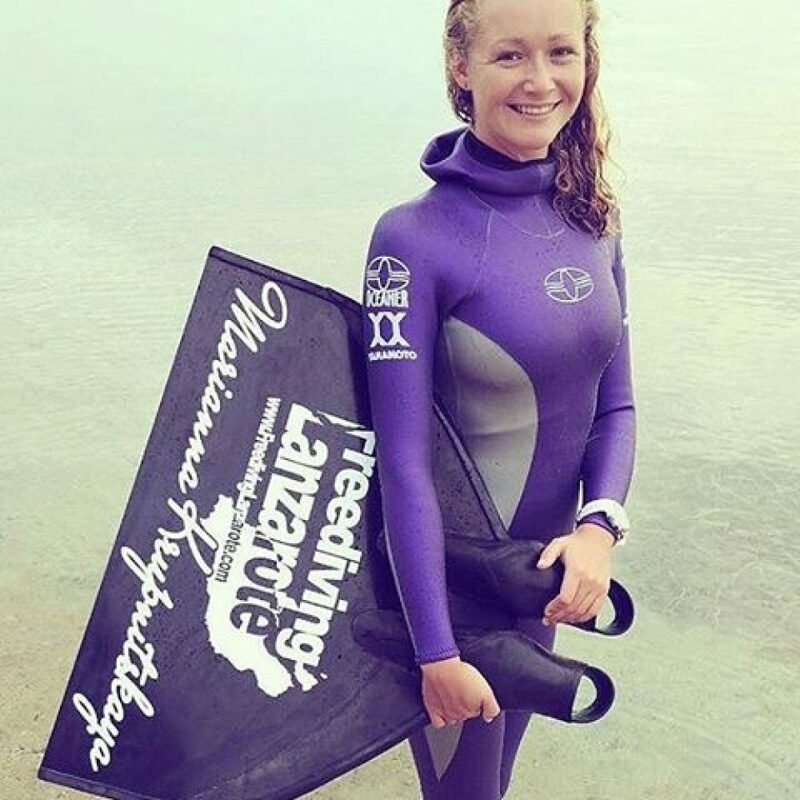 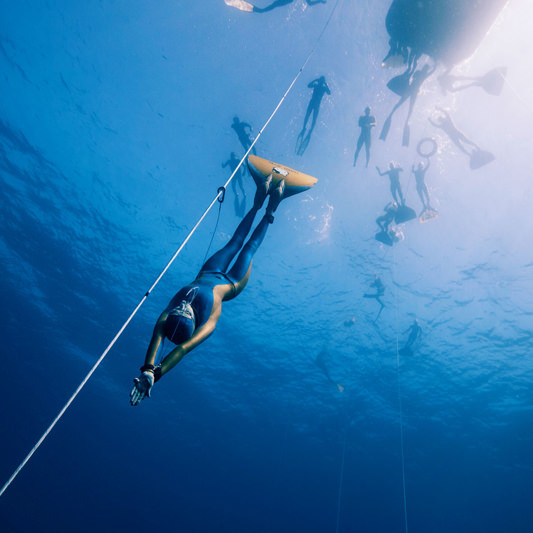 Most currently available freediving wetsuits are constructed with a straight sleeve on the shoulder resulting in a tubular body with attached tubular arms. 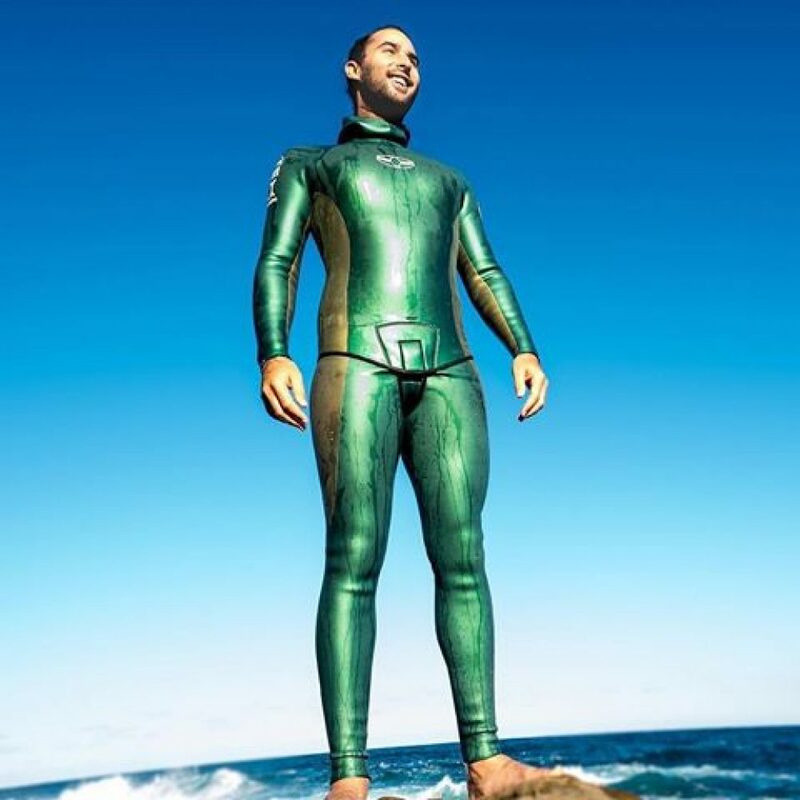 OCEANER suits use a Raglan Sleeve, a specific cut that provides a continuous shoulder curve from the base of the neck on down the arm providing a far more comfortable fit when the arms are in either down or over-head body position. 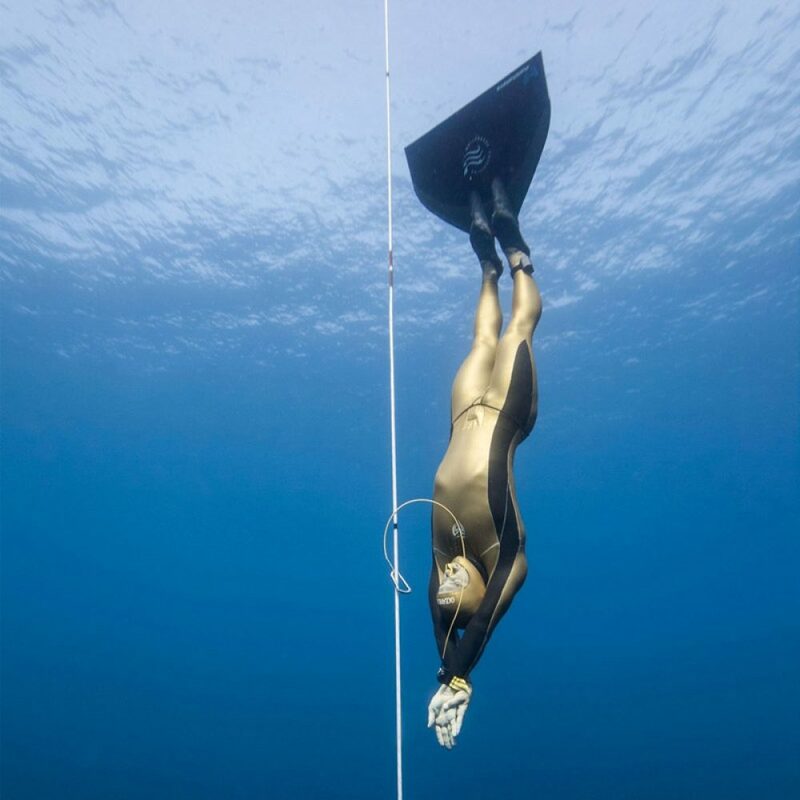 This curvature also minimizes undesirable bunching of material around the shoulders when in a arm-up diving position.